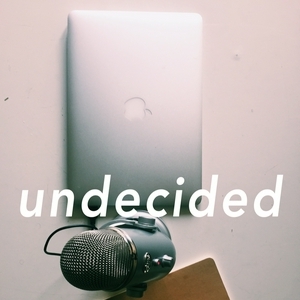 Tara Mahoney and Kate Reeve, two millennial voters, are embarking on a journey of knowledge and exploration in an effort to decide who they will vote for in upcoming Canadian elections. Follow them in a weekly podcast as they tackle election issues with experts and other young people. In this episode, Kate and Tara talk about some important news items from the last week, including the statement the Daughters of the Voice made in turning their backs on Justin Trudeau in in parliament, the upcoming Alberta election, and the new policy measures (read: cuts) Doug Ford has put in place which took effect on April 1st. Kate interviews her mother and aunt, both teachers, after the education rally on Queen's Park, and we learn about the how Ford's education cuts have put our public school system in a precarious situation. Tara talks with guest co-host Mollie Anderson, director of communications for Canadians for Clean Prosperity, about carbon pricing, climate change, and what governments and consumers can do to reduce the impacts of global warming. They also play CFM with neoconservative policy ideas and touch on the SNC Lavalin story to give you an idea of WTF is happening there. 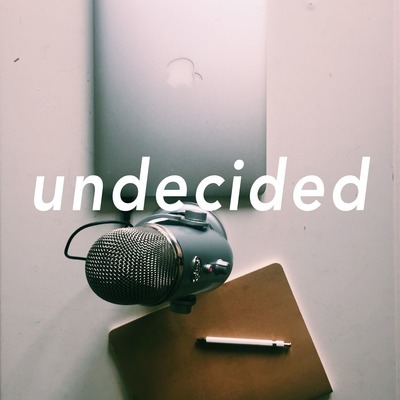 Tara and Kate go over the second part of their “Canadian Federal Elections 101” coverage, in which they talk about the election process and how a party leader can become Primer Minister. They also talk about the recent cuts to tuition and student loans in Ontario and why they matter. For news this week, the two co-hosts talk US government shutdown, the current situation in Venezuela, the recent federal Conservative fundraising successes, and a new program encouraging rural communities to take in immigrants. Tara and Kate are BACK with a primer on Canadian federal elections in anticipation of October's contest for Canada's next PM! They give a quick update on the state of Canadian politics now, laugh at their own jokes, and give a taste of what's to come. HUGE thank to Aidan Mahoney who worked into the wee hours of the morning to create our new theme music! U da GOAT. Tara and Kate discuss the Ford government's commitment to balancing the Ontario budget at any cost after they "discovered" that the budget deficit was greater than reported by the previous government. They talk about this phenomenon in the broader context of a trend demonstrated by right-wing governments around the world, focusing in on the United States and the Kavanagh hearing as an point of departure. Kate interviews Jennifer Keesmaat about her mayoral bid in the city of Toronto. La Petite Saison: Where Do We Go From Here? Kate and Tara sit down with the hosts of 'Do You Queer What I Queer?,' a Toronto-based podcast which serves as a platform for diverse voices of politics and human interest in the LGBTQ community to educate, entertain, and expand world-views of listeners. In this crossover episode, Tara, Kate, Elliott, and Thom talk about queer issues in Ontario and what the three Ontario parties have to offer the community and its allies in the upcoming provincial election. Kate interviews two teachers to get a sense of the strengths and limitations of our education system and what the three provincial parties are offering in terms of education policy in the upcoming election. Tara speaks with Toronto creative Franceta Johnson about some of what the three parties have to offer in terms of policy that helps to combat the inequality between men and women in Ontario. Kate and Tara discuss climate change and what the three provincial parties have committed to doing to fight it. Kate interviews John Robinson, a Professor at the Munk School of Global Affairs and the School of the Environment at the University of Toronto; an Honorary Professor with the Institute for Resources, Environment & Sustainability at The University of British Columbia; and an Adjunct Professor with the Copenhagen Business School. He explains carbon pricing and his optimistic view of how the world can combat the effects of climate change. Tara and Kate sit down with 6 other young people to discuss the highlights of the provincial budget released Wednesday.